Illegal graffiti is an indicator of social evils. But if you give a brush to a sprayer and tell him to paint his neighborhood legally, he turns into an artist. 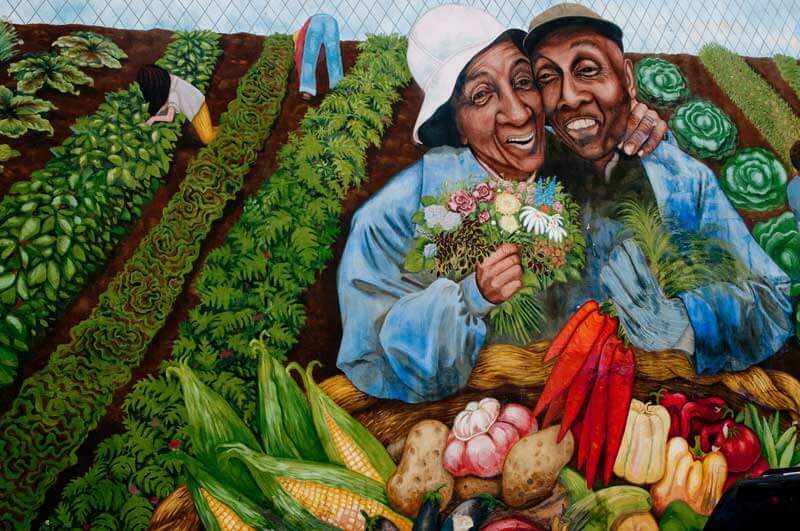 This is what the City of Philadelphia Mural Arts Program does. Founded more than 30 years ago, the project has ignited change throughout the city. It stimulates dialogue and values equity, fairness and progress across all of society. It is an outstanding example of social work. Phyl Francis does not look like someone who is engaged in a street art project full-time. She is wearing a hat instead of dreadlocks, a restrained red lipstick instead of a tattoo and pretty sandals instead of worn Chucks. She is a petite, dark-haired woman with a bright open smile and the opposite of the graffity sprayer type I hade in mind before meeting her. I would have expected her to work in a museum rather than on the street. But then again, our tour will be all about art ­– street art, that is. And so I accept her as my guide without questioning her appearance. I have already taken her to my heart anyway. Phyl works for the Philadelphia Mural Arts Program – a world-renowned street art project. “Founded as an anti graffiti program“, she explains in a subordinate clause. I nod but then I stop short. Painting walls and fighting graffiti at the same time – does that make any sense? Phyl explains: “Illegal graffiti occurs whenever a neighborhood is in crisis. Wherever there is a high rate of jobless people and people without prospects, it is much more likely that you’ll find paintings and graffiti on walls” – graffiti as an indicator for social problems, I get that. David Guinn: Garden of Delight (Detail). Throwback: Philadelphia, 1984. The Reagan administration has brought on a recession. The unemployment rate has reached 10 percent. The situation is even worse in the urban African American and Hispanic communities since the government has decided to cut spending on the welfare system. Others clearly profit from tax cuts. Philadelphia has a large Black community and is confronted with increasing poverty, a poor housing situation in parts of the city, and a graffiti problem. Mayor W. Wilson Goode launches an anti graffiti network that will later become the Mural Arts Program. It is made to bring young vandals back on track. It is a prevention program. Art therapy is known and used since the middle oft he 20th century – for prevention as well as for the treatment of psychological disorders and other illnesses. It is used in oncology as well as in psychotherapy. And obviously it can also help to fight social problems. 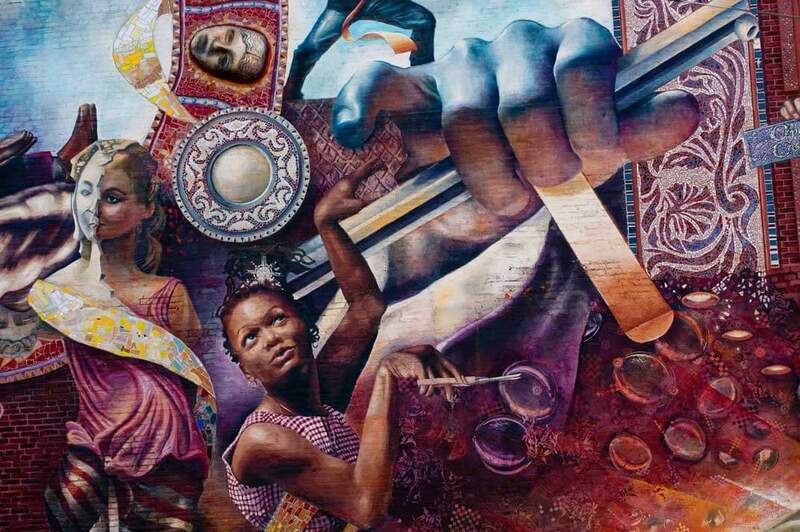 At least in this case: “With the Mural Arts Program, we have experienced the unbelievable. People simply aren’t the same anymore after they have worked with us. They and their communities are proud of having created something so beautiful and monumental. Sprayers are highly talented artists. Just give them a brush instead of an aerosol can and they’ll know exactly how to use it. We just focus on their talents and give them a meaningful task: Transforming their own home”, explains Phyl. Around 100 convicted vandals find a temporary employment in Mural Arts projects every year. An additional 36 of them are permanently employed. The relapse rate of juvenile offenders taking part in the program is at less than 20 percent. In other programs, it is at around 60 to 70 percent. 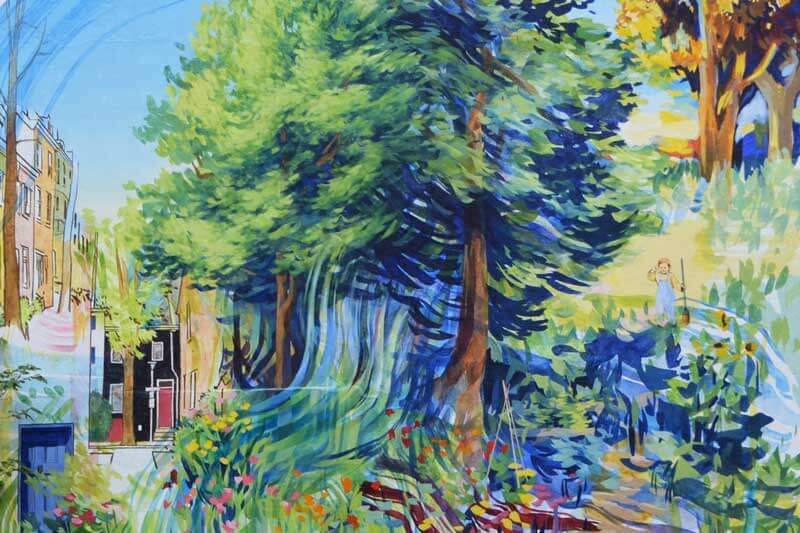 “They learn to cherish and appreciate their surroundings and they develop a very special relation to ‘their’ piece of art – and thus to their home, their borough, and their city”, says Phyl. And that resonates in the community. 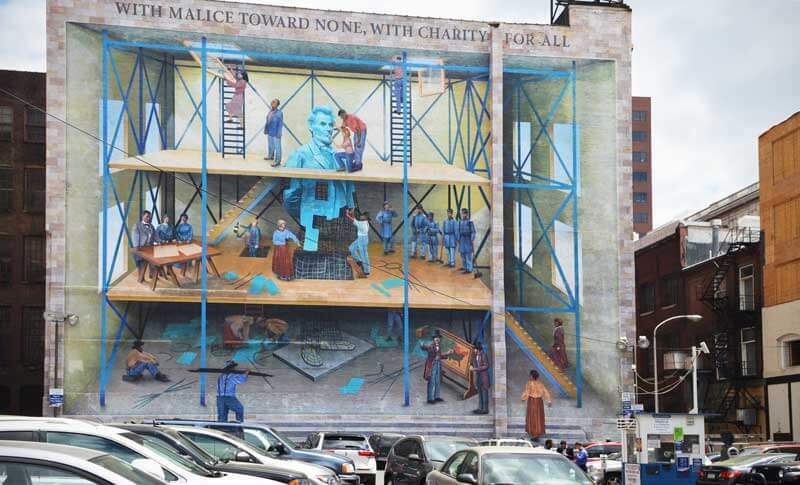 Philadelphia’s Murals are beautiful, colorful and interesting since they all tell a story of their own. They are symbols for emancipation and love or against discrimination. Some of the most interesting Murals form the Love Letter series in West Philly – a letter to an unknown girl that unfolds along the Subway line. Another one is „A People’s Progression Toward Equality”. It is an allegory of the American Society and of the quest for racial equality, painted on a parking lot wall in the city center. Its focal point is a huge statue of Abraham Lincoln. Jared Bader: A People’s Progression Toward Equality. Phyl stops short when we pass by the Progression Mural. She wants to explain its details to me. 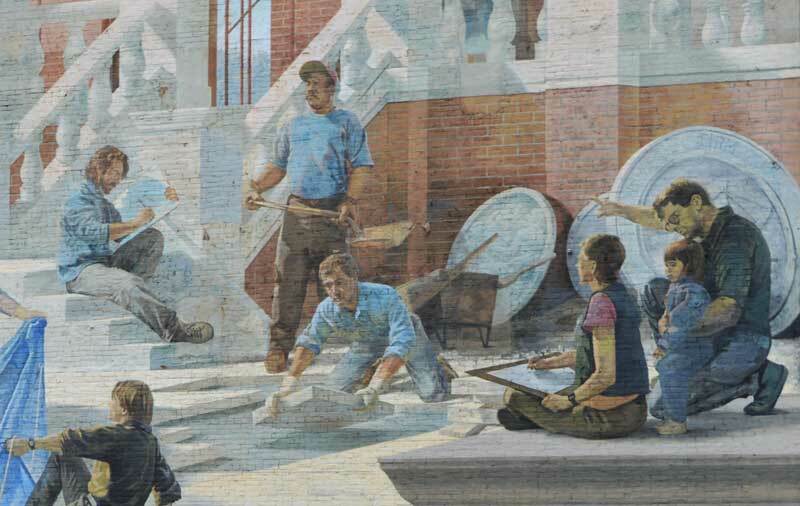 The painting shows a house with three floors, connected with stairs, on which people are gathered to work on the Lincoln statue. Slaves are wielding the hammer in the basement, representing the time of the Early Republic. African Americans and European immigrants are working together on the first floor – but on different sides of the statue, representing the time of the Civil War. The top floor shows today’s society with a finished Lincoln statue – but a ladder leading through an open window into the sky suggests that there is still a way to go toward full equality. It seems like Phyl is reading my thoughts: “We are on a good way, but we aren’t there yet,” she explains. While we walk across the city center, I also learn that most murals are not painted on the walls but on cloth. They actually are a giant paint-by-numbers set, designed by a few artists in a studio and painted on the floor by many. Once the paint has dried, the cloth gets glued to the wall. This way, nobody has to climb into dizzy heights to take part in the painting process. It also saves paint since a piece of cloth doesn’t soak in as much color as the bumps and cracks in a concrete wall or the gaps in plastered stone walls. It takes 8 to 12 months until a Mural is finished. Once there’s a new idea or a new client, the Mural Arts Program has to apply to the city of Philadelphia. It takes some time until the final decision for or against the painting and once it has a go, the creative process starts. 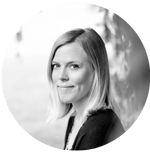 Sometimes Phyl and her colleagues organize co working with school kids, sometimes they ask for help in community centers. They have even worked with prisoners. Money comes from donators and private investors. So far they never ran out of money. 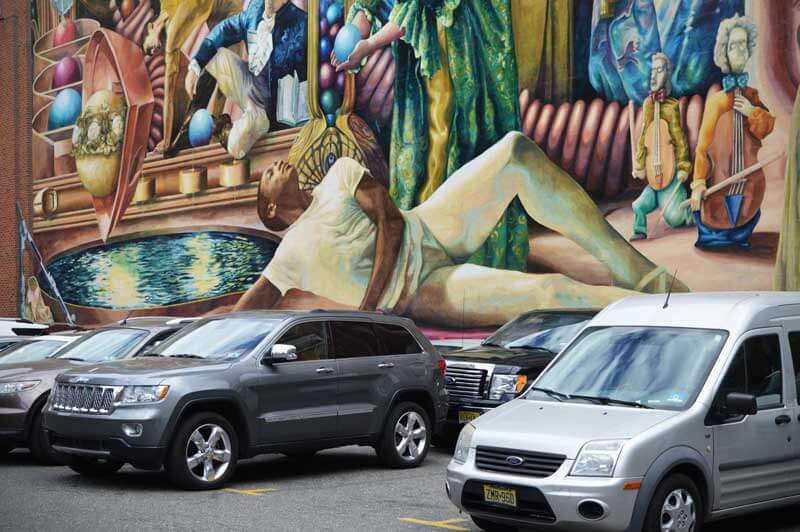 Which is why Philadelphia is home to the impressive number of around 3700 murals today. Family Interrupted. Eric Okdeh with the Men of the Mural Class at SCI Graterford. Photo by Michael Reali. Reprinted by permission. Staircases and Mountaintops: Ascending Beyond the Dream. Willis Humphrey aka NOMO and Jonny Buss, with the Restorative Justice Guild. Photo by Steve Weinik. Reprinted by permission. My trip to and Mural Arts Tour in Philadelphia was supported by the Philadelphia Convention and Visitors Bureau. My opinion is in no way affected by this cooperation. Featured photo: Bryan Lathrop for PHLCVB. I saw a lot of this street art when I was in Philadelphia a couple of weeks ago – I loved it!